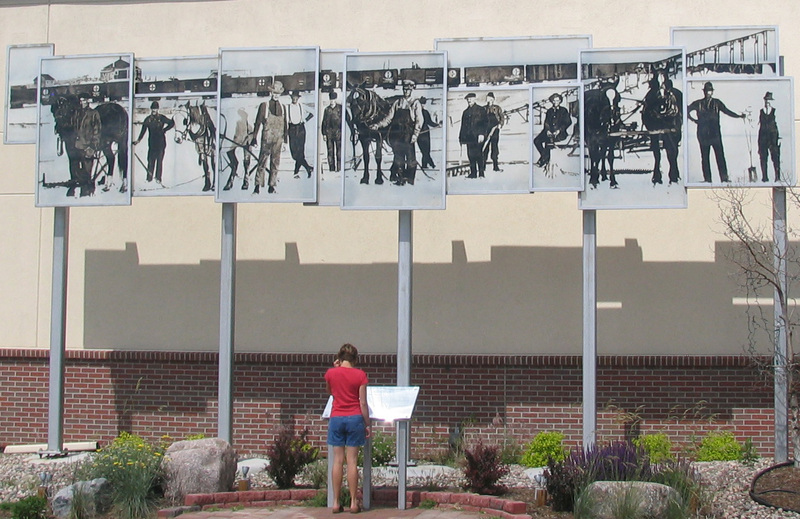 Tri-Lakes Views Public Art Projects, Monument, CO.
My first and collaborative public project conservatively depicts an important historical industry influential in the development of the Tri-Lakes community, Ice harvesting. The reverse painted reproduction of archived photography is on staggered polycarbonate squares, representing the ice blocks carved from local lakes. The mural is painted between protective layers with steel framing. Project created in collaboration with Tim & Rick Upham.